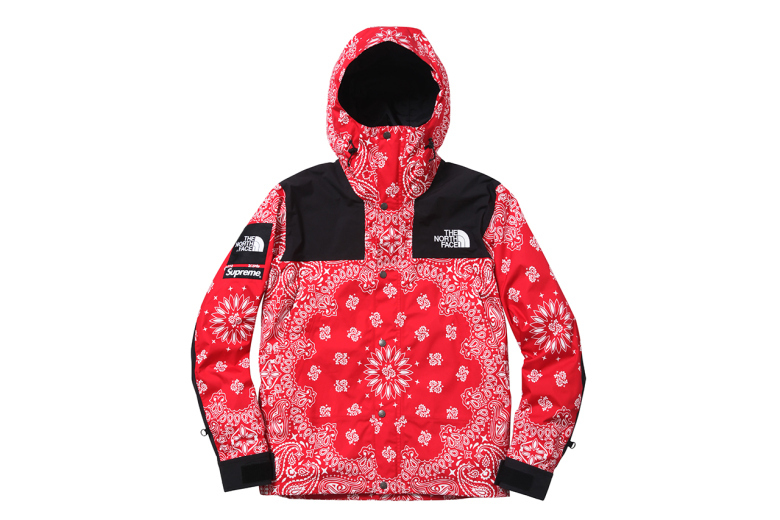 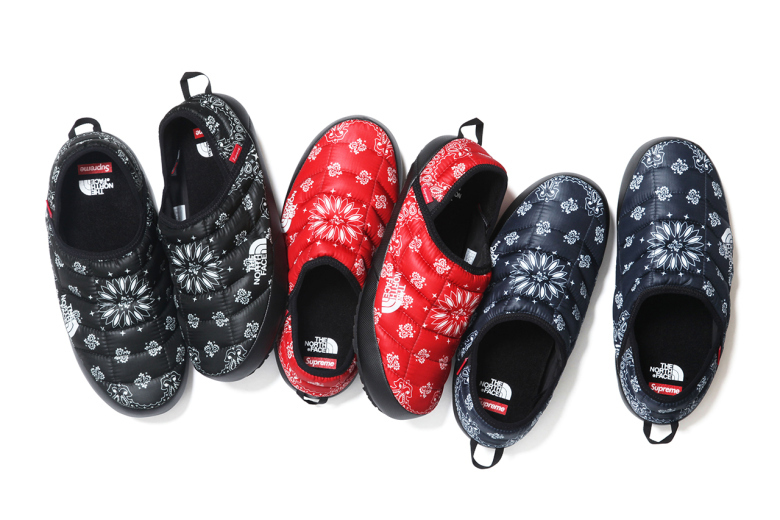 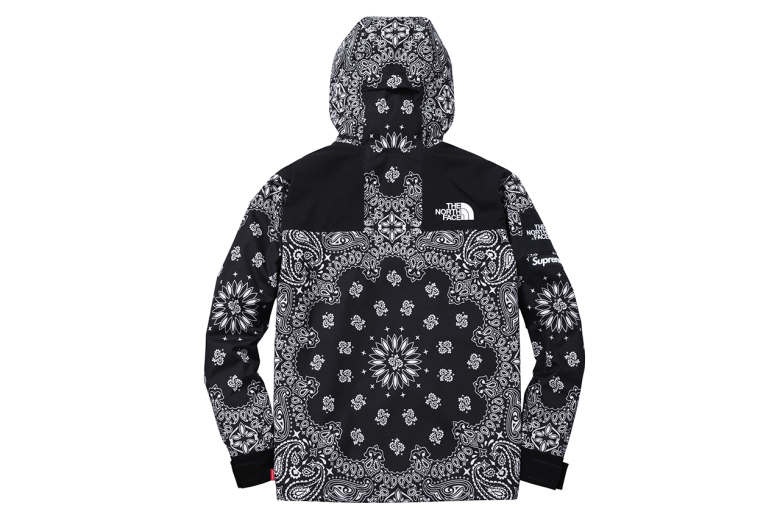 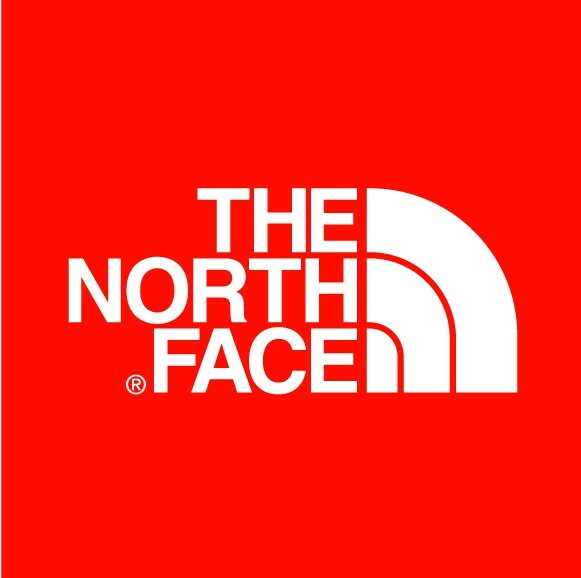 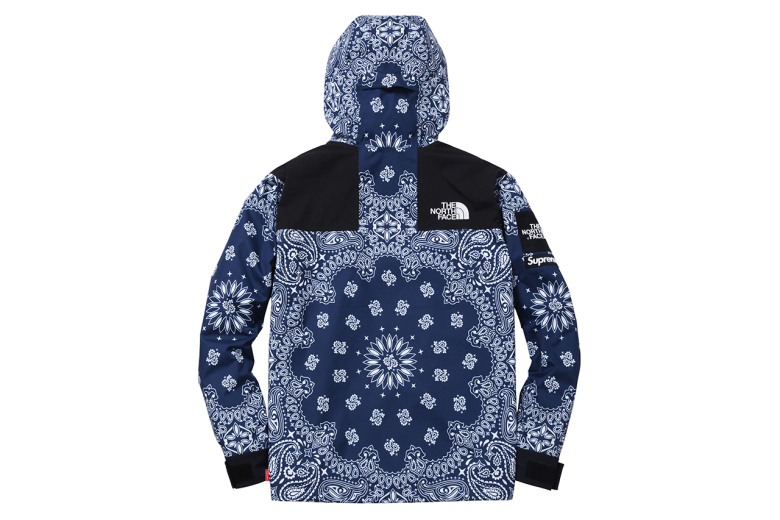 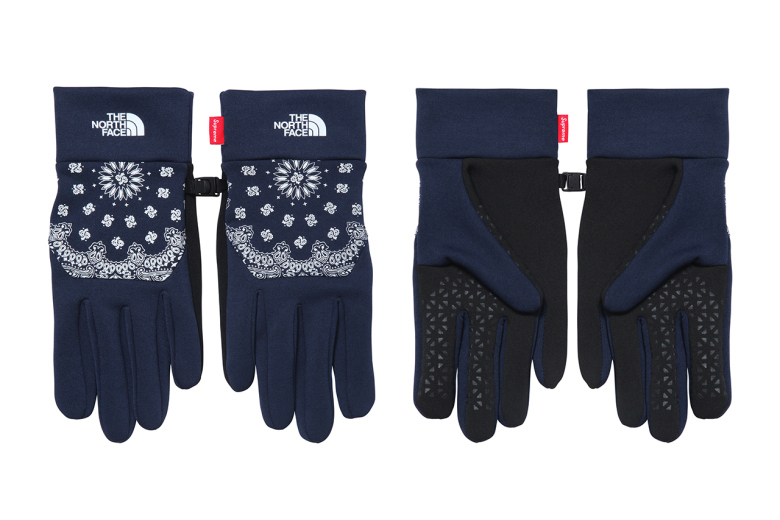 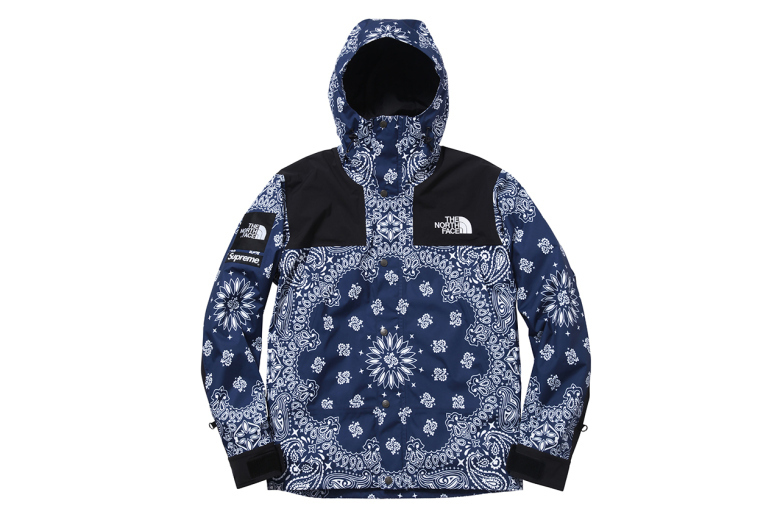 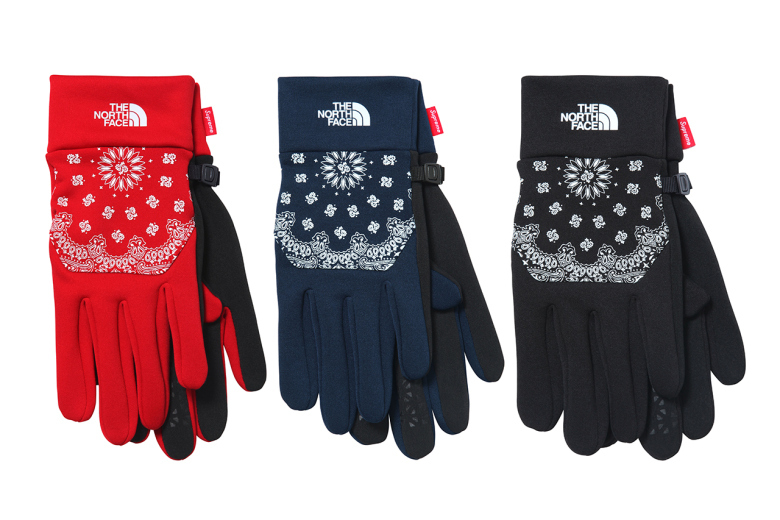 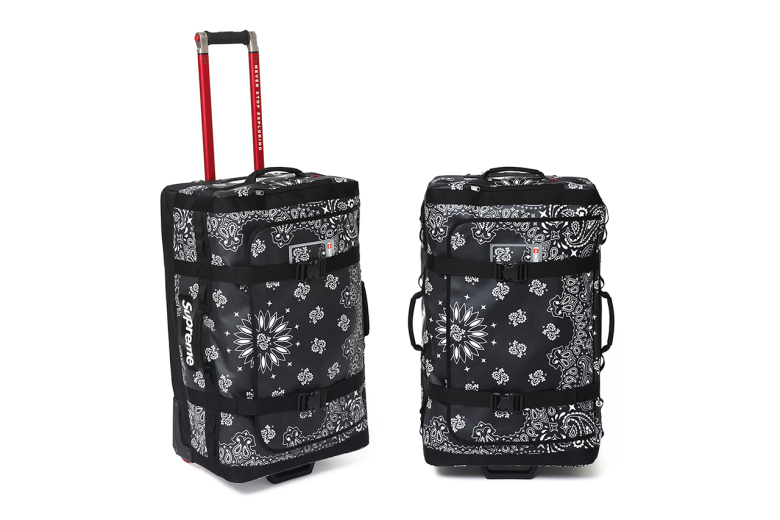 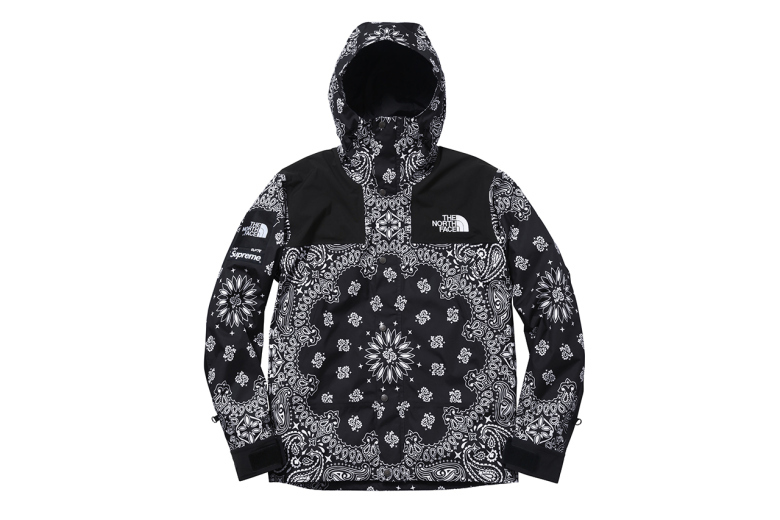 Outerwear titans The North Face have once again teamed up with skatewear/streetwear legends Supreme for a Fall/Winter collaboration, bringing us Paisley-printed jackets, gloves, slippers, sleeping-bags, and suitcases for all your Holiday travel needs. 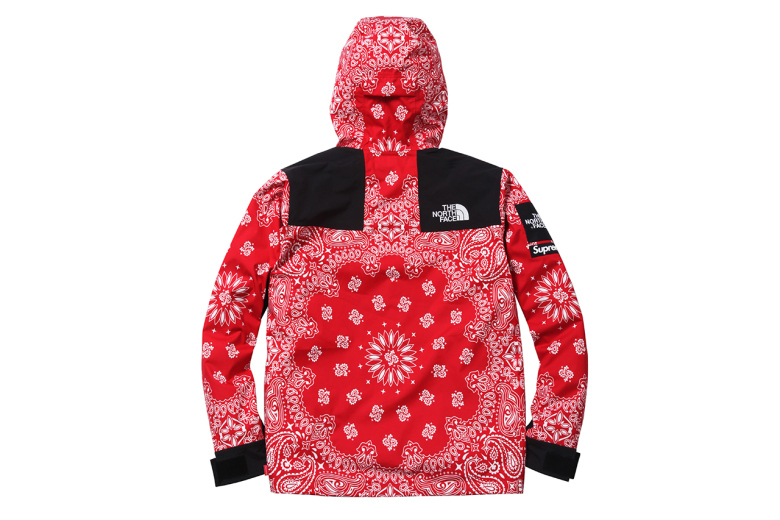 The new bandanna-style iteration of ‘The Mountain Parka’ is the stand out piece of the collection, available in red, navy blue, and black (all featuring the white Paisley print). 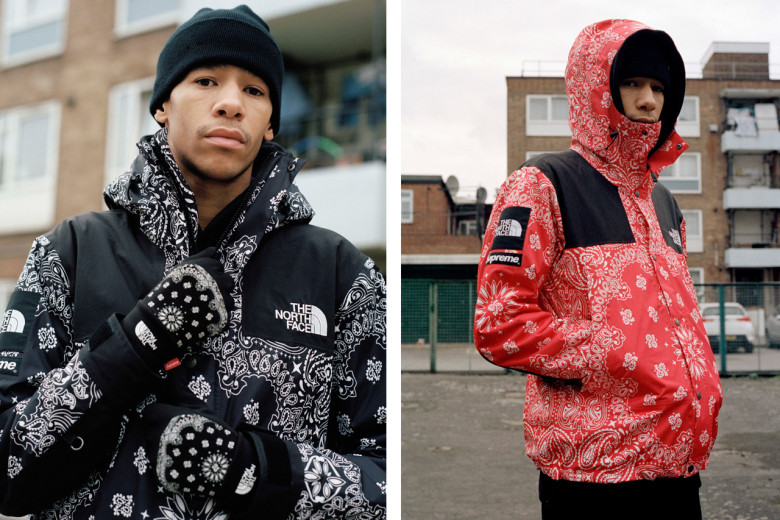 Exclusively constructed for Supreme, the parka—priced at $368 USD—features the highest of quality outerwear technologies, including: breathable design, waterproofing, and a ‘ripstop’ shell. 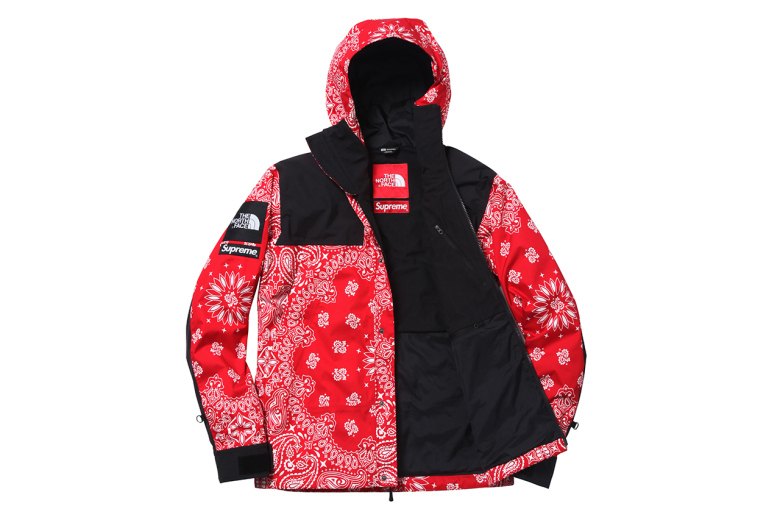 For a more detailed description of collection’s other pieces, visit Supreme’s webstore, where as of November 20th the collaborative collection will be available. 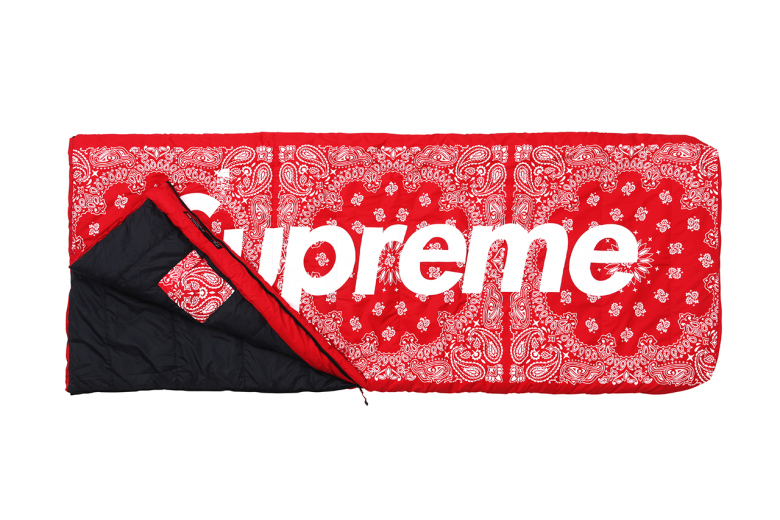 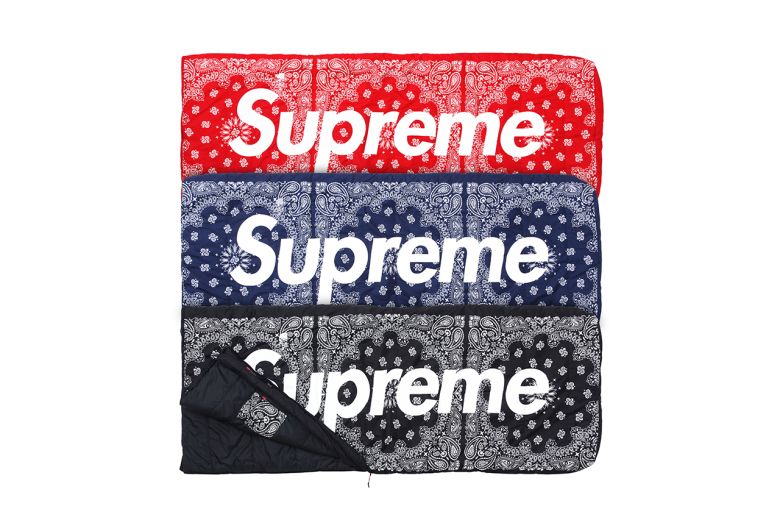 In store releases include Supreme’s flagship locations in New York, Los Angeles, and London for the November 20th date, while the Japanese release is slated for a 2 day delay, dropping on November 22nd.